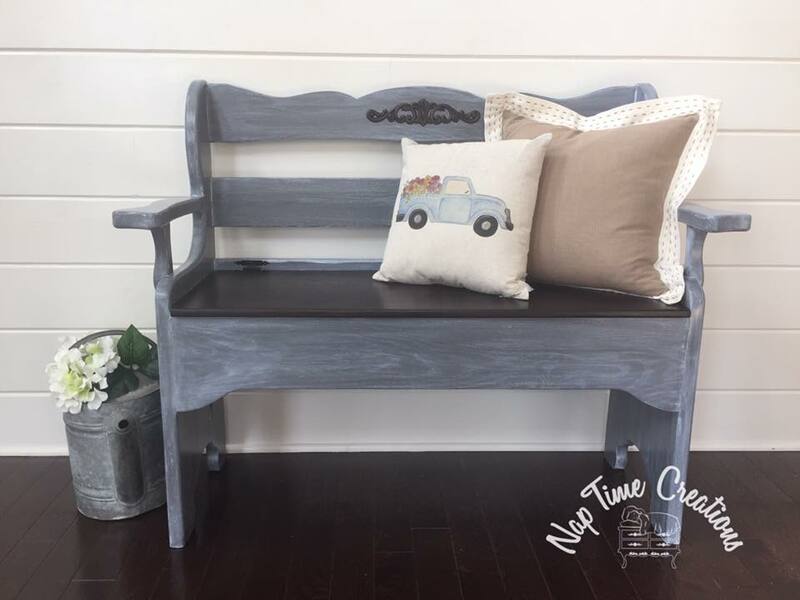 We adore this bench refinish by Nap Time Creations! 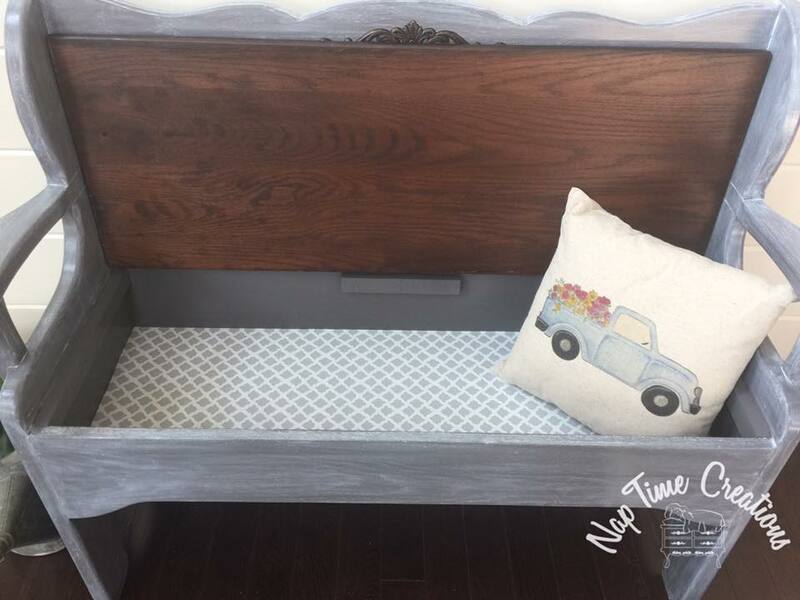 This solid oak storage bench was painted with General Finishes Driftwood Milk Paint, then white-washed with Winter White Glaze Effects. 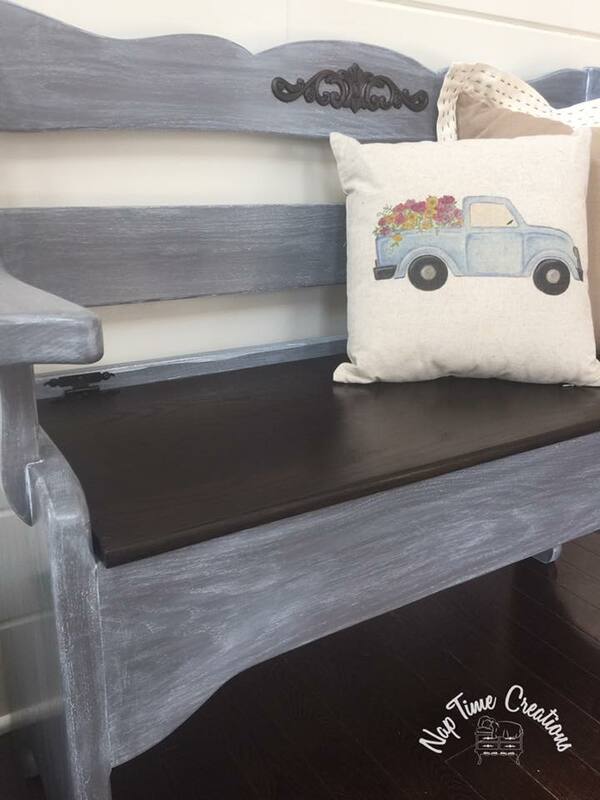 The seat was stained with Espresso Water Based Wood Stain.